Visitors of every age and ability are very welcome at The Old Nene. Please call the clubhouse 01487 815622 to book a tee time. On your arrival please check in at the clubhouse bar, where you can also purchase course refreshments. ● No Jeans, shell suits or track suits to be worn on the course. The Clubhouse and Patio does not have a particular dress code but we expect smart casual. Buggy and trolley hire available. Practice facilities include: driving range, putting green and chipping area. Driving range tokens can be purchased from the bar (£2 for 30 balls). After your round join us in clubhouse for refreshments and a bite to eat. 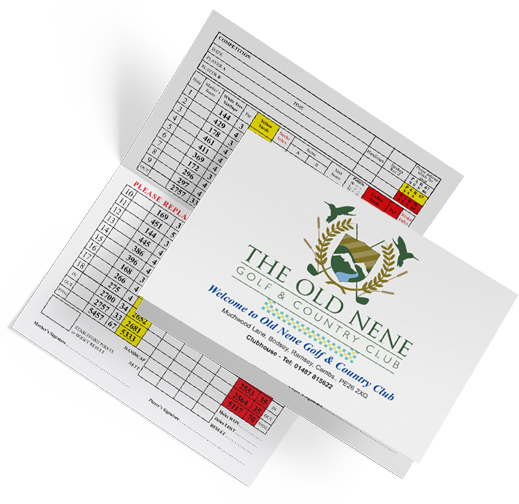 If you would like more information on joining the club please see our 'Golf' page for more details alternatively please email enquires@theoldnene.co.uk.